Even though you can create both videos and images on Instagram, most businesses opt for creating more images. 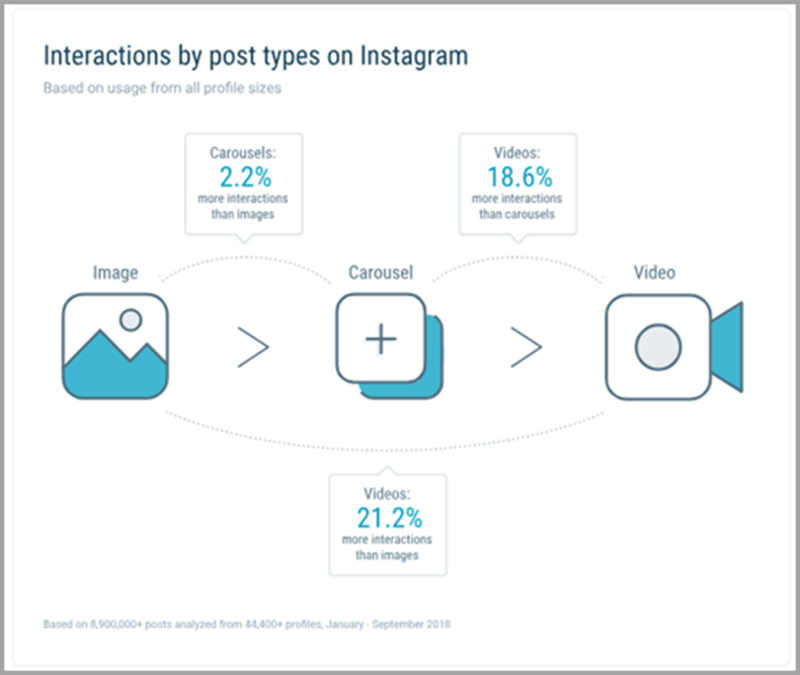 According to Quintly, 72.6% of all posts on Instagram are images, 16.7% make up videos and 10.7% are carousels (slideshow posts). It makes sense why Instagram users post more images, they take less time to create than videos. But if you want to drive higher levels of engagement you should begin creating more videos. As the aforementioned study from Quintly also found that videos get 21.2% more interactions than images and 18.6% more interactions than carousel posts. Just because a video performed well on another social network doesn’t mean that you should upload it to Instagram as well. 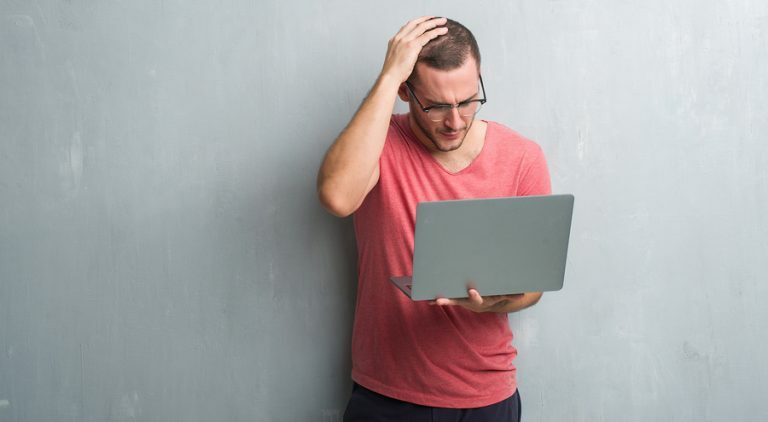 Before you do that you must research your audience to make sure that people following you on Instagram will want to interact with the same content. For example, if you post a video on Facebook and it performs well, it won’t always get the same results on Instagram as the audience following you have here might have different interests. Also, videos on Instagram cannot be longer than a minute and the ideal length of an Instagram video is less than 30 seconds according research from Hubspot. It would be better to create shorter videos for Instagram only than to edit quality longer videos that fare better on networks like YouTube and Facebook where there is no length limit. A lot of useful information can get lost. There’s also the size difference. For your newsfeed, it is best to post square videos and for your stories, it is best to post vertical videos. This is very different from the landscape shaped videos you post on most platforms. Again, you shouldn’t post the same content in your feed and your stories. You need to vary it to keep your audience more engaged. For your feed, you can share videos that are more permanent and for your Instagram stories, you can share temporary content as they only last 24 hours. Many businesses like to use stories to promote their latest offers. To quickly create unique videos for both your feed and stories, you can use a tool like Crello. It comes with premade templates that simplify the whole process. All you need to do is select the video format. For your feed video, you can choose animated post as this will create a square video which is 1080 X 1080 pixels (perfect for Instagram). And for stories, you can choose the Instagram video stories option. After that, you select a template and modify it by using their video editor. You can modify the text, icons, background or any other part. They even have a library from which you can pick and add new elements like animations and objects. 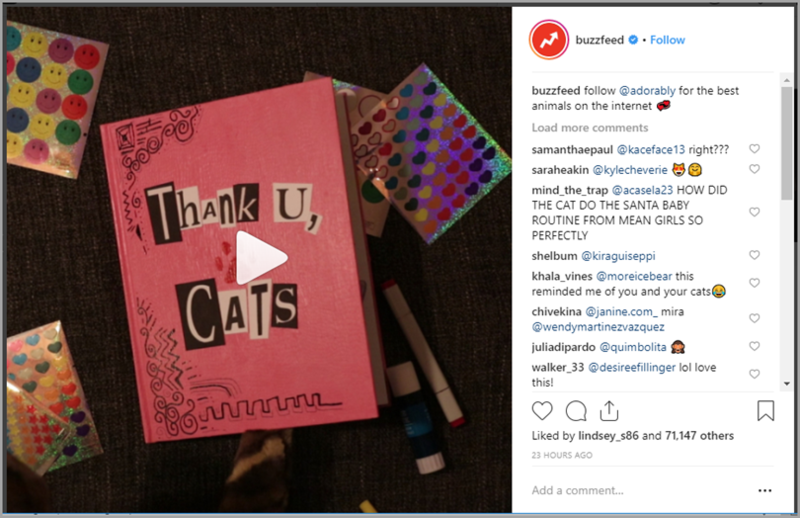 An example of a Business that is creating unique content for Instagram is Buzzfeed. You will notice that they create very different content for the Instagram page. What they post in their feed is different from what they post in their stories and these two together are different from what they post on Facebook. Make sure you follow them and watch their videos as it can help you brainstorm a lot of quality Instagram post ideas. They get a lot of things right here. Another mistake I see businesses make is not using IGTV. Many of them haven’t set up their accounts yet and some of the ones who have are inactive. IGTV is a new network where competition is still low and reach is high. Therefore, those who put the strongest effort now will benefit highly. In the future when more people join and the algorithm is changed the amount of exposure you get will dwindle. Drive as much engagement as you can now and build up your following. Also, videos on IGTV can be 15 seconds to 10 minutes long. If you have a verified account or an account with lots of followers, you should be able to upload videos that are up to 60 minutes long. Before you begin creating your videos you need to keep in mind that IGTV is very different from other social networks. People get to view your videos vertically here. It was probably set up this way as Facebook discovered that people prefer watching vertical videos to landscape videos. So, begin making the most of IGTV by sharing longer videos you cannot share on Instagram. It will help you build a foothold before the competition and algorithm toughens up. For inspiration on what to create check out Buzzfeed again. You will notice that the content they share here is different from what they share on Instagram. Also, it is optimized for vertical viewing. 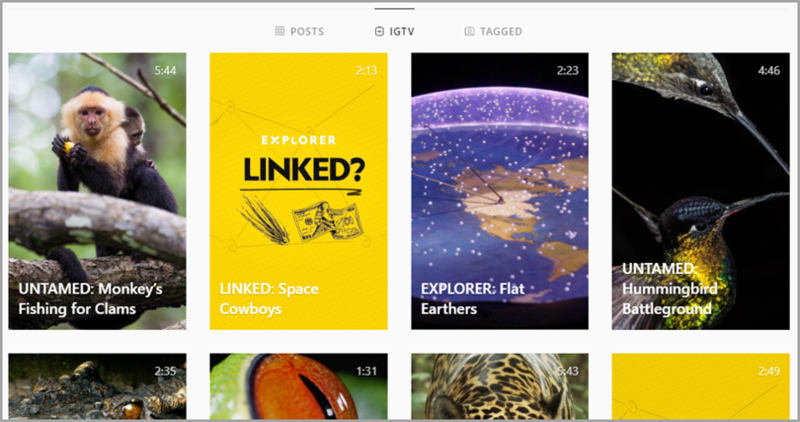 Another page that is sharing a lot of wonderful content on IGTV is National Geographic. Make sure you check them out. Pay close attention to how they modified the videos for better vertical viewing. It is important to add overlay text to your videos as many people will automatically set their Instagram accounts to mute the audio in videos. If you add overlay text, even those who have set them to mute will watch them (especially if they are in a place where they cannot turn up the volume). If it’s a video of people talking you can add subtitles. 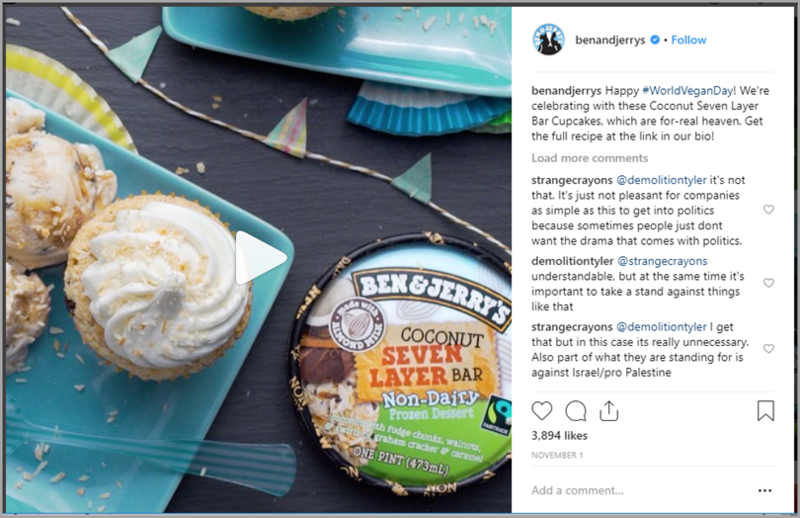 For ideas on how to add overlay text, you should check out Ben & Jerry’s videos on Instagram. They regularly publish videos like the above one where there is no narration or speaking of any kind in it. There’s just some music playing and everything in the video is explained with overlay text. The video or image you share is probably the most important part of the image, but the caption that accompanies them plays an important role too. If you don’t write a detailed caption that explains to the viewer what the video is about you are making a huge mistake. Through your caption, you can provide some context to the video. This will make it easy to follow and will result in more engagement. 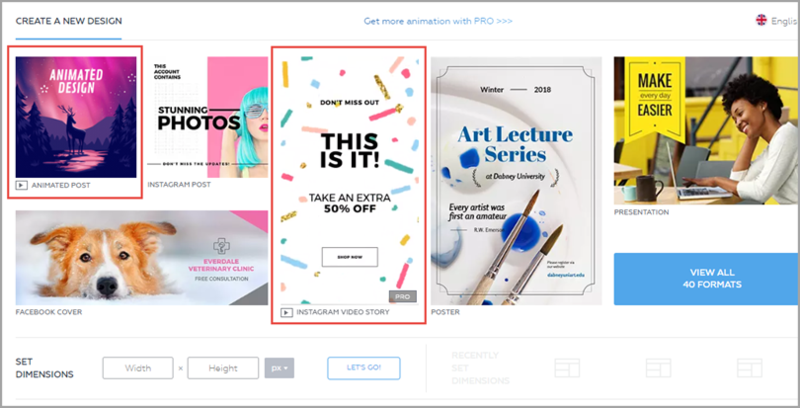 Also, you can include a call to action in the caption which can help you better accomplish your goal whether it is to get more Instagram likes, comments, traffic or sales. 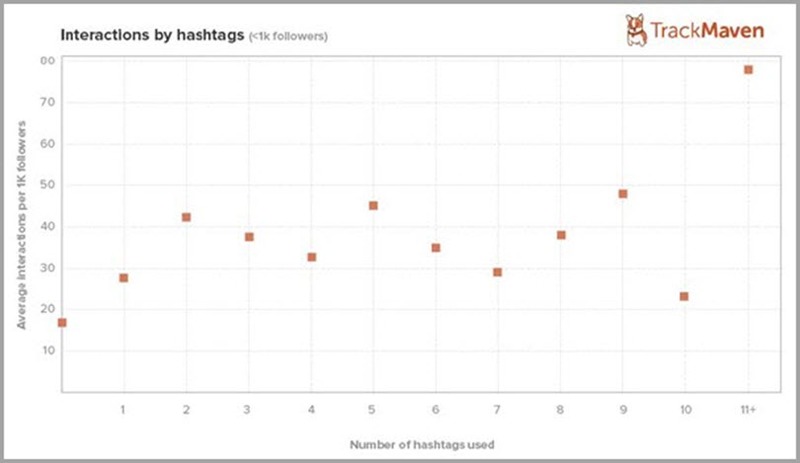 Also, make sure you add a lot of hashtags as posts with 11 or more hashtags get the most interactions. For ideas on how to write better Instagram captions, you should checkout Go Pro’s page. They write short descriptions that quickly inform us about the video. And they usually end with a call to action and hashtags. Here’s an example of a well-written caption. In the bi,o they clearly inform us that you will find a video of a road trip in New Zealand. After that, there is a call to action on how you can watch the entire video by clicking on the link in their bio. They also include several relevant hashtags throughout. Creating the video and sharing it on your page is a good starting point to your Instagram video marketing strategy. But if you are halting the promotion with this, it isn’t sufficient. Along with this you should conduct outreach and get some influencers to share it as well. To find these influencers you can use Gary Vaynerchuk’s strategy by DMing people and building relationships. If you build quality relationships and create a lot of entertaining and/or useful content many people will share your videos for free. They are always on the lookout for quality content that drives engagement. Some will of course prefer to get paid in exchange for the posts. 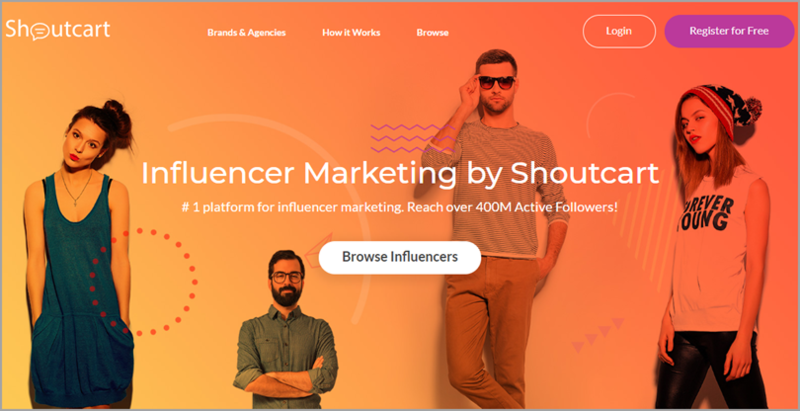 If you have a decent budget you can also use a tool like ShoutCart to find influencers. Another free technique that can work is shout for a shout. This is where you share a video or image someone else created and they return the favour by doing the same thing for you. Both of you can benefit from this. These are the mistakes people regularly make on Instagram. Avoid them and instead follow the solutions I have provided above. This will help you get more video views, likes, comments and traffic from Instagram. Do you publish videos on your Instagram page? What mistakes do you frequently see there? Please leave your comments below.